In our previous blog, we created a beginner “Hello World” tutorial explaining how to use Arduino UNO with an OLED display. Back then we focused more on producing PCBs for others rather than creating one for ourselves. Now, we have our own boards, our own brand called Zio, and we are proud to announce to the world how awesome our board is! It’s time we have an updated version of that “Hello World” or should we say “Hello Zio Youngling”, befitting the Zio Qwiic way. In this tutorial, you will learn how to display text on a Zio Qwiic OLED 0.9in display and also have that text scrolling. You will also have an understanding of what each example codes mean by doing this simple project. 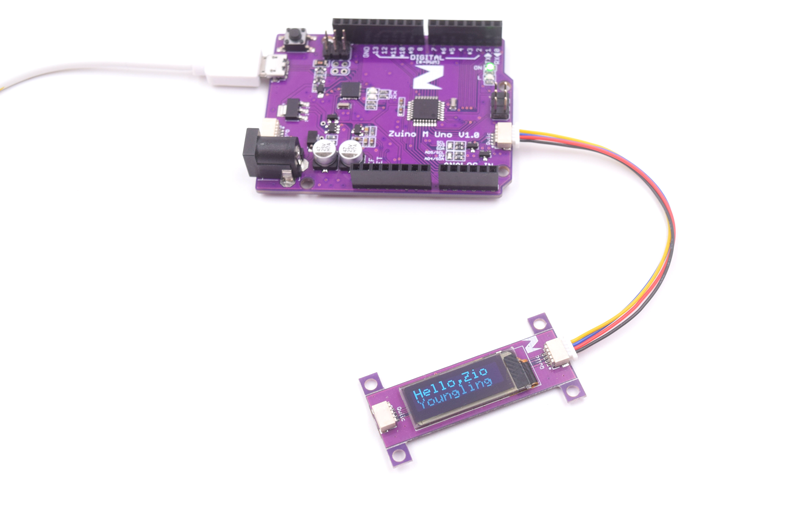 By the end of this tutorial, you will be able to build projects using Zuino M UNO and a Zio Qwiic OLED display. We have a separate tutorial on installing the libraries above for the Zio Qwiic OLED Display. Check out our Zio OLED Display Qwiic guide blog post here. 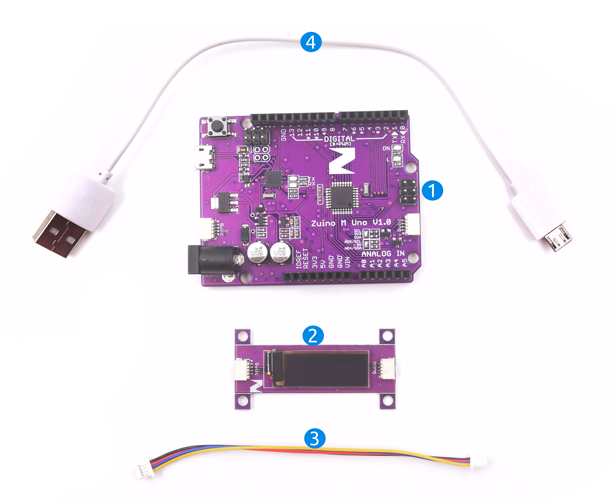 To do that you need to include the following libraries for the display to work with your Zuino board. The first code asks you to initialize your OLED display to run on the first setup. In setup code, your code will only run once. This means that any code written inside the setup section will only be programmed to read once by your board. Since this is a loop code, any code programmed here will run repeatedly. The above code just states that it will clear any previous code before starting the new one. This will give a nice ‘pause’ effect before (use delay and set the number of ms you want it to be delayed) your next code runs. Different from the previous blog, we give you the rundown on how to display your text. Under the OLED Zio Qwiic guide post, for the examples code, you will come across the text-scrolling part where your text scrolled from right to the left and back again. Well today, for simplicity purposes (cause it's a beginner project tutorial), we will only display our text to scroll to the left. Then type the following code that lets you display your text in a scroll. In this case, we want to scroll our text to the left. Dear Sirs,The code of the “Hello, Zio Youngling!” works fine with the Arduino UNO, MEGA 2560 and with OLED 0.91" Display, but not work with the Zuino XS PsiFi32 development board (the Arduino core for ESP32 is installed). This code is compiled and loaded to the Zuino XS PsiFi 32, but the display do not react. Please advice what is wrong.Best regardsJerzy Kollataj AMEX Research Corporation Technologies (Poland)website: www.amexlab.com.pl email: amexinfo@amex.pl P.S. We are distributor for yours products. Please see our website. We want to put on our BLOG more detailed information about your ZIO Qwiic Modules. Tested and verified codes are very important for our customers. Hi Jerzy,Aswana here from Smart Prototyping. Thank you for pointing it out and reading our blog post. 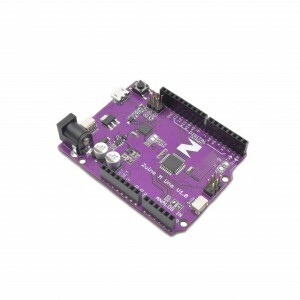 Although the tutorial is set for Zuino M Uno, PsyFi32 (ESP32) should work as well. But it seems that you have problems running the code for PsyFi32. We will check on it and try running it for PsyFi32 and get back to you soonest.